Blazing Splendor recounts the experiences of Tulku Urgyen Rinpoche. 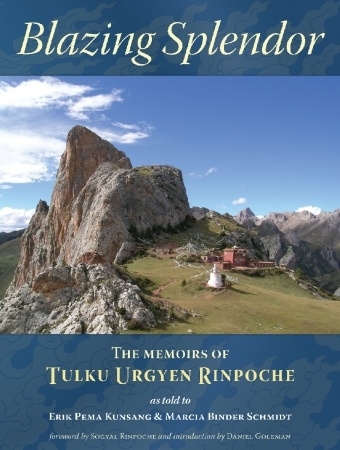 With unsurpassed honesty and humility, the highly influential meditation master Tulku Urgyen Rinpoche offers a glimpse into the remarkable reality of Tibetan Buddhism, as well as an in depth portrait of the lost culture of old Tibet. This grand narrative stretches across generations, providing an inspiring glimpse into a realm of remarkable human achievement quite different from our familiar, mundane world. Intimate in tone, these personal memoirs recount the influences and experiences that shaped one of the great spiritual teachers of our time. Blazing Splendor is of both spiritual and historical importance.